Thankfully, growing up in Manhattan I never had to deal with the whole ‘Asian=Chinese’ thing, but people have assumed I’m Jewish (I’m not, I’m Catholic and raised by white adoptive parents) when I say I’m half Israeli, or they come up with other absolutely ridiculous assumptions when they discover I’m part Romany. I look Mediterranean or Hispanic and people assume I am the biological daughter of my Italian father and that my Irish mom is my stepmother. I just laugh it off, it’s cool to see you doing the same even after facing so much racism. Hapa pride! I did my genealogy research. 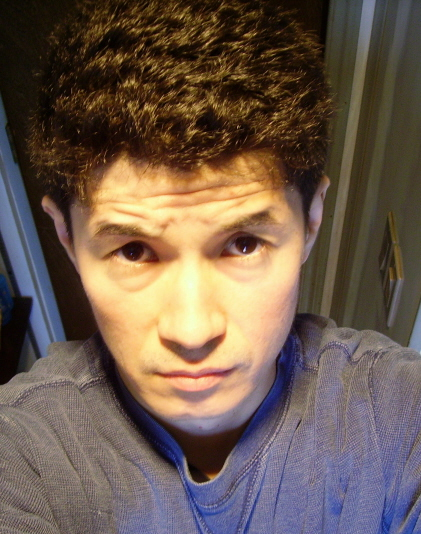 I’m 1/2 Korean, 1/4 Scottish (that’s including “Scotch-Irish”), 1/8 English and 1/8 German. I loved to read and relate to your story. I am 51 yrs old, and growing up back in the 60’s biracial children were really looked down upon. Interracial marriages were almost unheard of, Black & Indian father and French and German Mother. So to keep it short when asked by school children, we just said one of three things: My sisters and I always either said, I am “mixed” or “biracial” or “mulatto”. When they asked what mulatto meant, we told them to look it up in the dictionary! Mostly we just said were half black and half white. From grade school, through junior and finally high school, blacks always insisted we must choose to be black. Whites always thought we were white with a great tan. Even though my father was an ex Korean war vet, and very troubled, severely abused our beautiful mother along with all of us, he did teach us one good thing that has remained with me today; to always be proud off who we were; NO MATTER WHAT PEOPLE SAY! I know your pain; I know how hard it is to ignore racial slurs and comments. But I’m 51 now and am so gratefull and comfortable for being a part of so much diverse heritege, if I could choose I wouldn’t wish to be anything but what I am. You’ve come along way,and you’re beautiful! KNOW THIS! I will pray that soon you will meet your family in Korea. If you ever wish to communicate more on the subject, feel free to write back, I will welcome it. I’m half Chinese and half German, living in Switzerland. i wish the best for your future. Keep staying strong man! You don’t only have one nation behind you but three. Glad you like my story. Yeah we’ve been through so much in the past. I’m building my self-esteem and working hard. My father passed away almost 4 years ago from diabetes. I’m taking care of my mother. Hopefully I might see my Korean cousin for the first time next year. Michael it is good to hear that you have overcome so many obstacles in your life that has made you stronger. I have had similar experiences with my racial/ethnic mixture in life. There are a lot of people out there that can relate to you, so just know that you have a whole bunch of people in your corner. I hope you have success in whatever you do in life. Stay positive and good luck. Later days. ← HapaVoice.com turns one today!